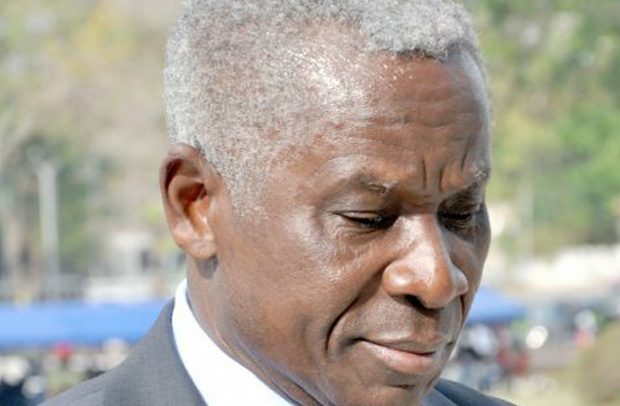 A former National Security Advisor under the late President Evans John Atta Mills, Brigadier General Nunoo Mensah, has counselled former President John Mahama not to contest the presidential election in 2020. He asserted that nothing had changed from the factors that led to his defeat in the 2016 elections for him to stage a comeback. According to the former Chief of Defence Staff, Ghanaians rejected former President John Mahama at the last polls and that there was no need for him to try to make a comeback. The opposition NDC goes to the polls in November this year to elect a flag bearer to lead the party in the 2020 elections. Former President Mahama, who has already declared his intention to compete for the flagbearership position, is being contested by at least 10 other individuals for the slot. Meanwhile, some NDC stalwarts, including the founder of the African University College of Communications (AUCC), Kojo Yankah, and a former Minster for Central Region, Kweku Ricketts-Hagan, have urged the former President to accept his current statesmanship status and withdraw from the race. The latest NDC kingpin to add his voice to the call for former President Mahama to rescind his decision is Brigadier General Nunoo Mensah. Speaking on Takoradi-based Radio 360, Brigadier General Nunoo Mensah also called on former President John Mahama to reconsider his decision to contest the NDC flagbearership scheduled for November, this year. “I support Kojo Yankah 101 per cent in advising former President Mahama not to run again; his supporters can attack me also like they are doing to Kojo Yankah,” he told listeners. “President Mills chose me among his first appointees for telling the truth; I will never lie in my life, I have never lied in my life,” he added. He continued “we have been around for the past 25 years and we are going nowhere; Ghana is in a hole and when we go to borrow money and use it to buy Land Cruisers there is no thinking, no planning. The press, you are part of the problem; so you have to speak about all these,” he indicated. He claimed the performance of the ruling New Patriotic Party (NPP) was below average. “I am not impressed by anything; young people finish school roaming the streets and there is no job; you can see desperation in their eyes; you can see pressure; I have not been impressed by the NDC and the NPP in the last 25 years,” he added. He wondered why an individual like him could build six to seven-unit classroom blocks in Moree in the Central Region “but all our leaders could do is to buy land cruisers”. It would be recalled that the NDC Member of Parliament for Cape Coast South, George Kweku Ricketts-Hagan, recently called on the party not to allow former President John Dramani Mahama to lead the NDC in the 2020 presidential election. According to him, the party must rebrand with a new face and it should not be the former president.